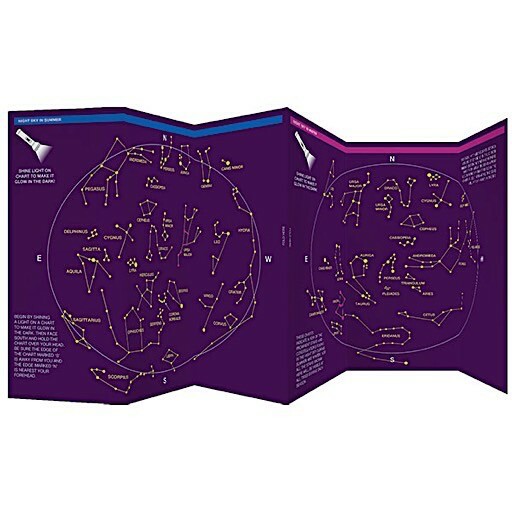 A glow in the dark guide and reference to prominent constellations and stars that are visible to the naked eye! Simply shine a light on the guide to illuminate the constellations and their names on the summer or winter star charts. 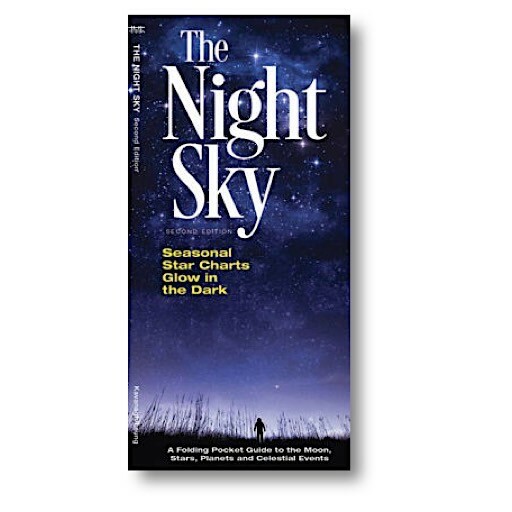 Also included are the meanings and history behind each constellation. Made in the USA. Dimensions: W4 x H8.25 inches, 22.25 inches wide when folded out.